Eastbourne beer drinkers are very loyal to Sussex beers, having voted for them as beer of the festival for each of the five years of the festival. It was decided, with over 80 beers from out of county from which to choose, to seek votes for a separate beer of the festival from their number. 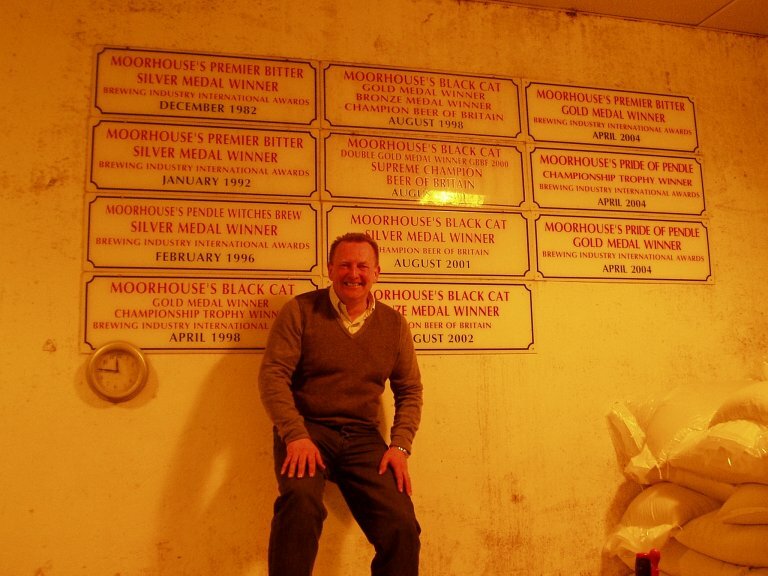 2007 saw the inaugural award go to Moorhouse of Burnley for its Pendle Witches Brew. South East Sussex Branch of CAMRA decided that a delegation should travel north to make the award in person. When it was discovered that the East Lancashire Branch had its own festival over the first weekend in February, the date was quickly fixed and five members travelled by train to Preston on the Friday evening. Arriving an hour before closing time, local beer was enjoyed, before setting out the next morning across the moors to Burnley. The local branch was well represented as we arrived at the brewery tap, the General Scarlett, where a couple of pints confirmed the quality of the award winning ale, before we were given a brewery tour by M.D. David Grant. 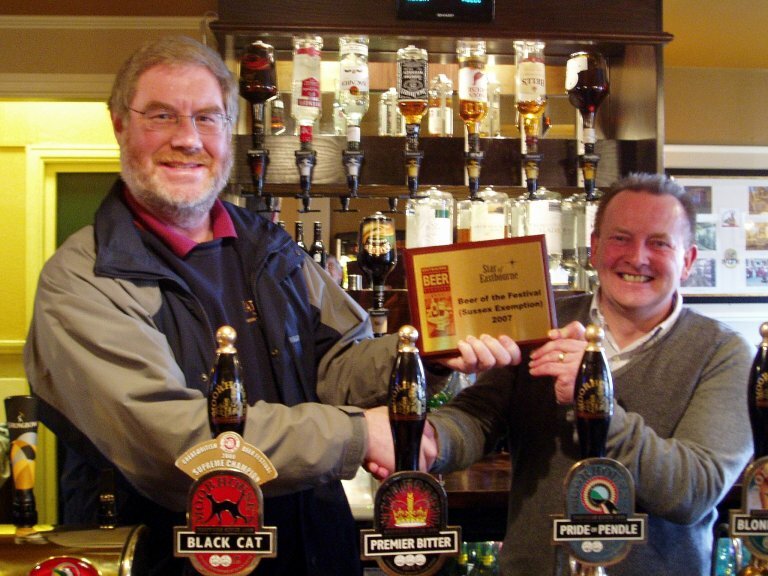 Returning to the pub, the award was made over a further pint, before our hosts transported us to the festival in nearby Colne, stopping only to show us the inside of one of the their branch’s favourite pubs, the Ministry of Ale. We all enjoyed the festival and cannot speak highly enough of the hospitality shown by both East Lancashire CAMRA Branch and Moorhouse’s. On Sunday all that remained was taking the train through Pennine scenery from Burnley to Leeds and from there back to Sussex. Photographs show Moorhouse’s David Grant, proud of his brewery’s awards and him accepting another one from Peter Page-Mitchell, Chairman of South East Sussex Branch.